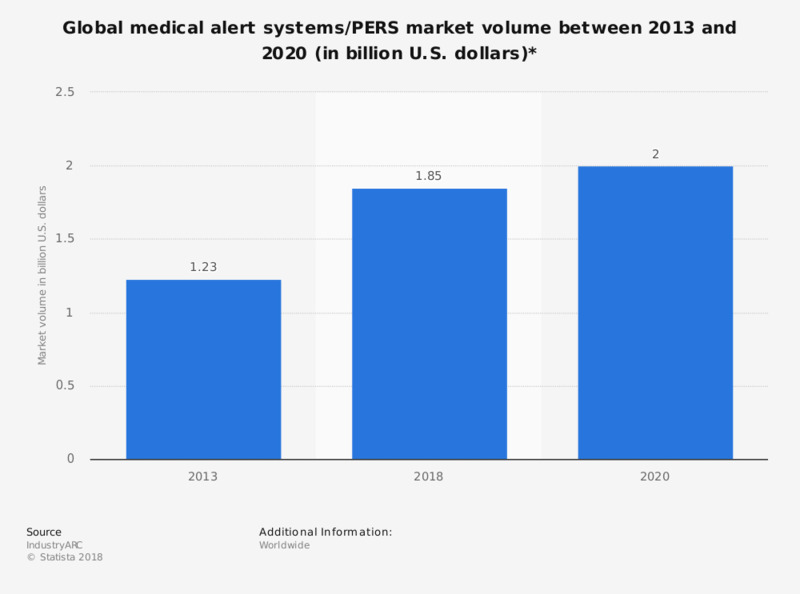 The statistic shows the global medical alert systems/PERS (personal emergency response system) market volume in 2013, and provides a forecast for 2018 and 2020. In 2013, the global market size for such medical systems stood at some 1.23 billion U.S. dollars. Until 2020, the market is expected to increase to some two billion U.S. dollars. * PERS = personal emergency response system.